Indiana University Southeast is one of eight student centered campuses of Indiana University. Located in New Albany, about five miles from Louisville, Kentucky, the community engaged campus has approximately 6000 students. The campus is committed to a student-centered learning environment and actively supports students, faculty and staff for diverse backgrounds. Consistent with the University's commitment to diversity, persons from traditionally underrepresented groups are strongly encouraged to apply. 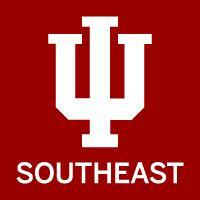 IU Southeast is an Affirmative Action/Equal Opportunity Employer.